Questions about signs? We've got answers. Likes to be seen from a distance Typically supported by a single or double pole a pylon sign is the right style if your location has multiple lanes of traffic with speeds over 40mph. 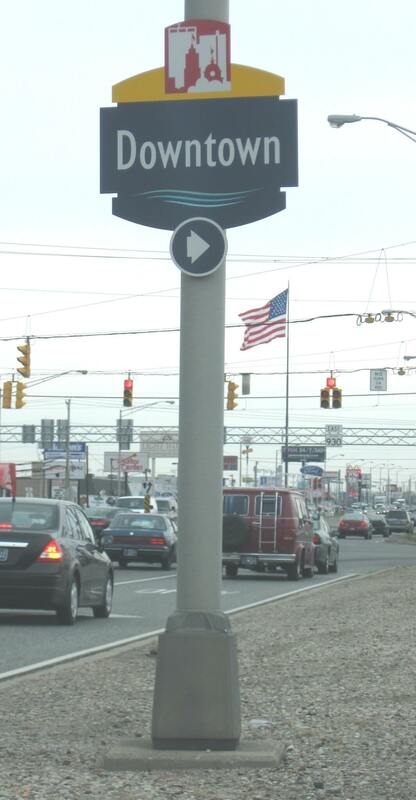 Pylon signs identify the location of your site and the height can vary from 20’-250’ depending on each site’s unique layout and what audience you are trying to provide visibility to. 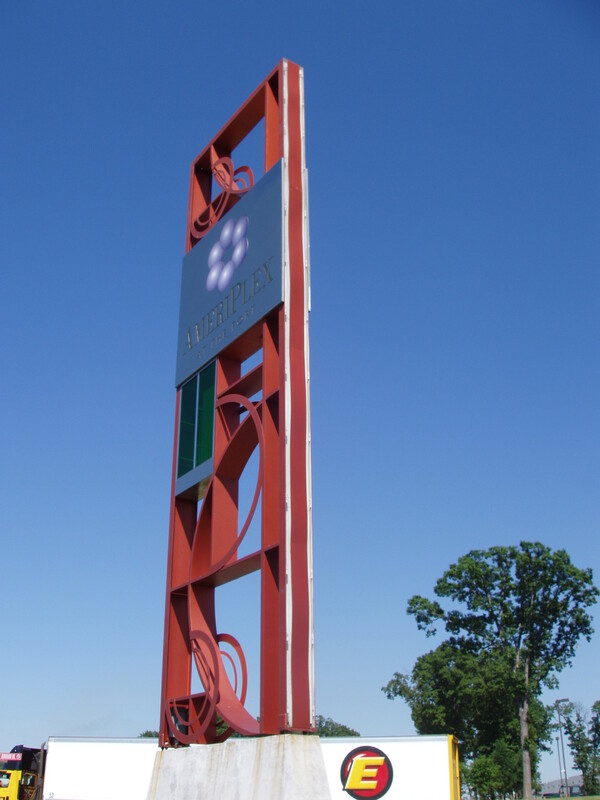 Typically, the support structure is engineered into a concrete foundation and the signs are internally illuminated. 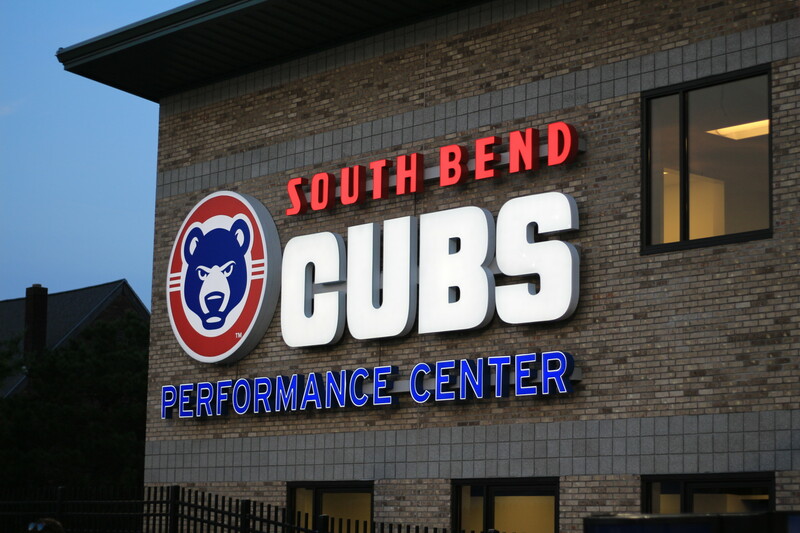 There are a wide variety of ways the faces can be decorated from flat Lexan with vinyl graphics, to routed and backed or even channel letters applied to the faces. Low and down at eye-level Monument signs are the smaller cousin of pylon signs. 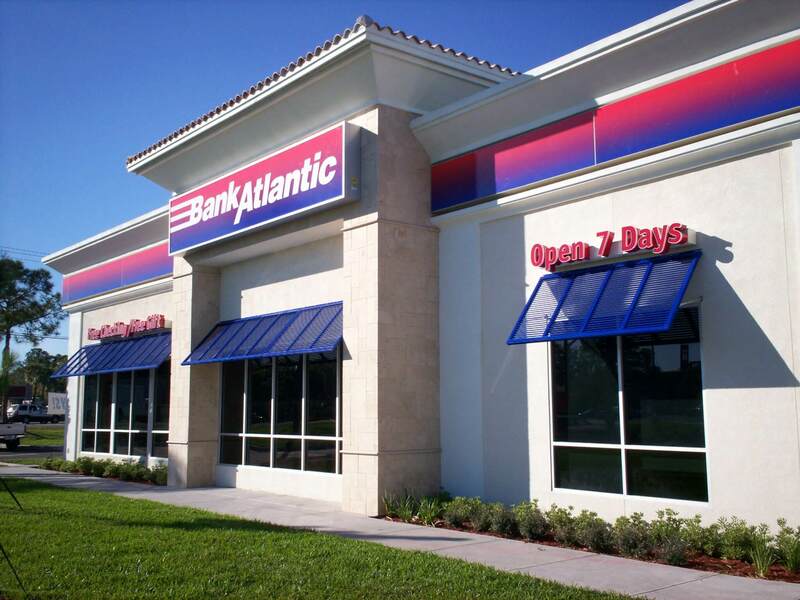 These signs tend to be lower to the ground and create that crucial first impression to your customers. 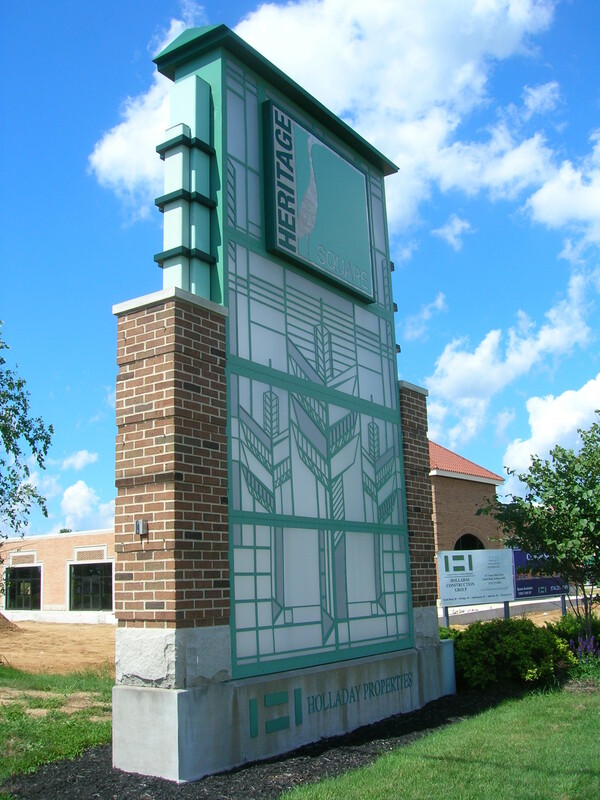 Typically, less than 20’ in height monument signs are tied into the brand and also can highlight/compliment architectural features of your business’s building itself. 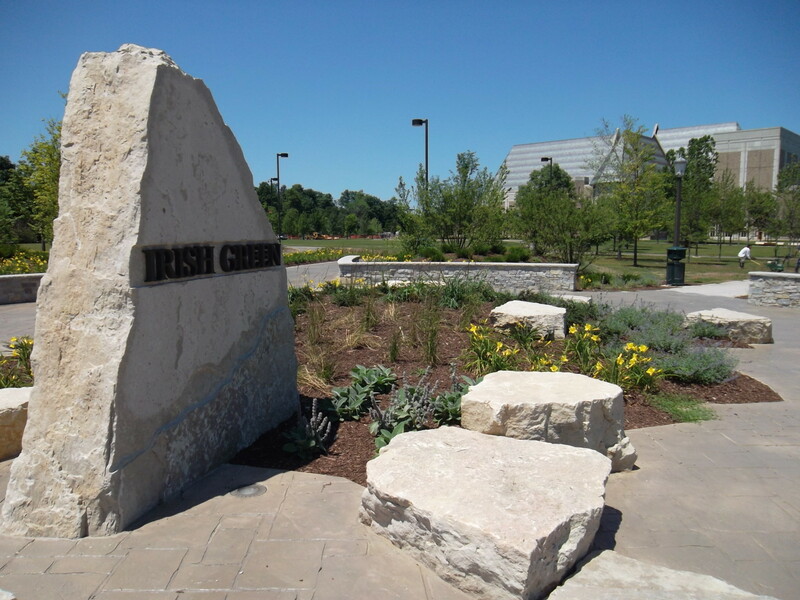 The base of a monument sign can be complimentary stone/brick or fabricated metal. Often times on the top of the main cabinet a decorative topper can be created. 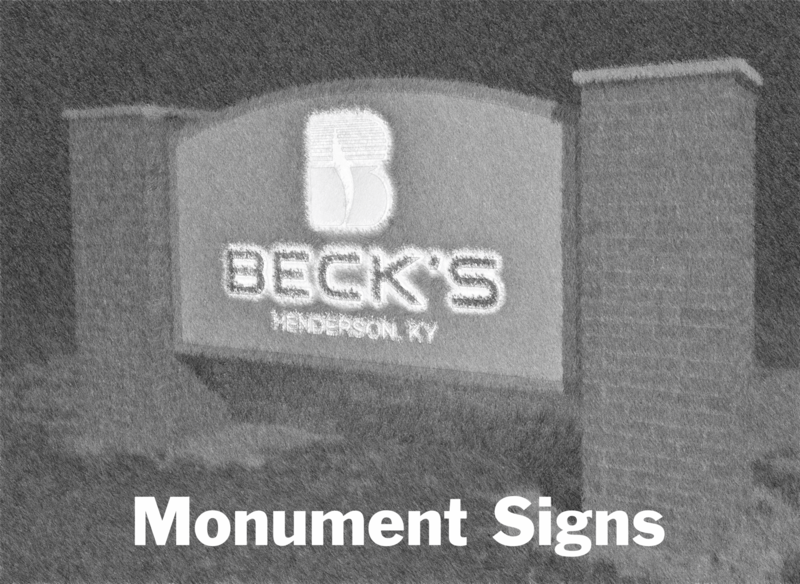 Monument signs are usually illuminated and can have a variety of face types. 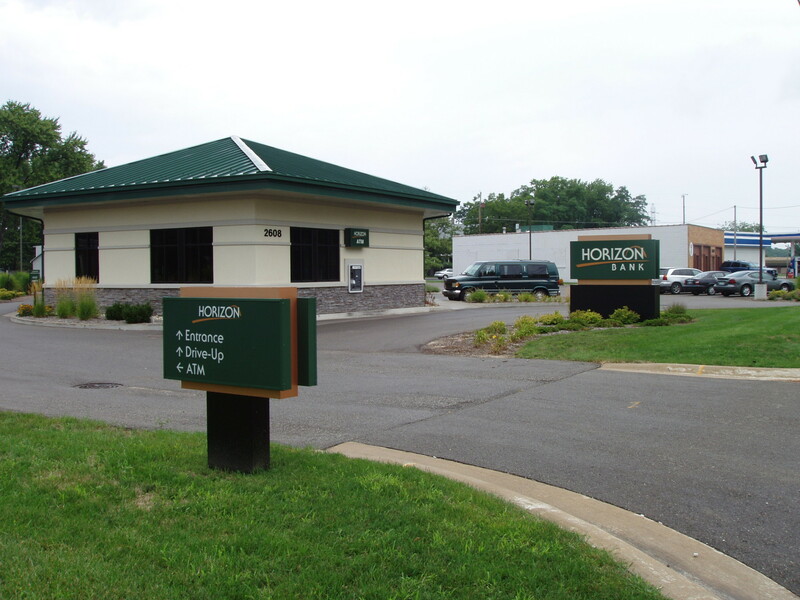 These include flat Lexan with vinyl graphics, routed and backed, routed push-thru and even channel letters on the faces. 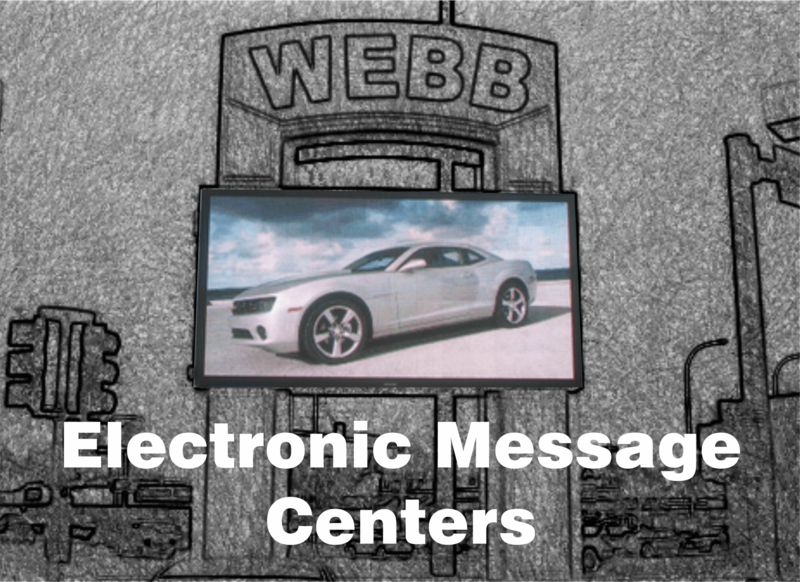 The future in signs has arrived Electronic message centers are one of the hottest selling segments in the sign industry. With applications from churches to stadiums the impact of what an EMC can do for your business is limitless. Size and resolution are key to a good EMC, have one of our professional account executives walk you through this process. The SBA (Small Business Association) states that adding an EMC will add a minimum of 18% increase in business all the way through 1000%. 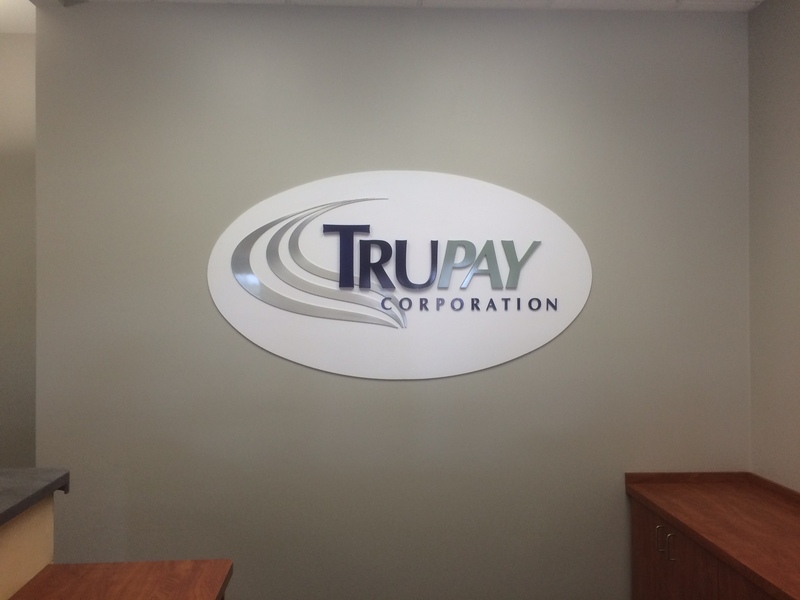 Industry Standard Cabinet Signs can come in a variety of shapes but are best known in the classic rectangular shape. 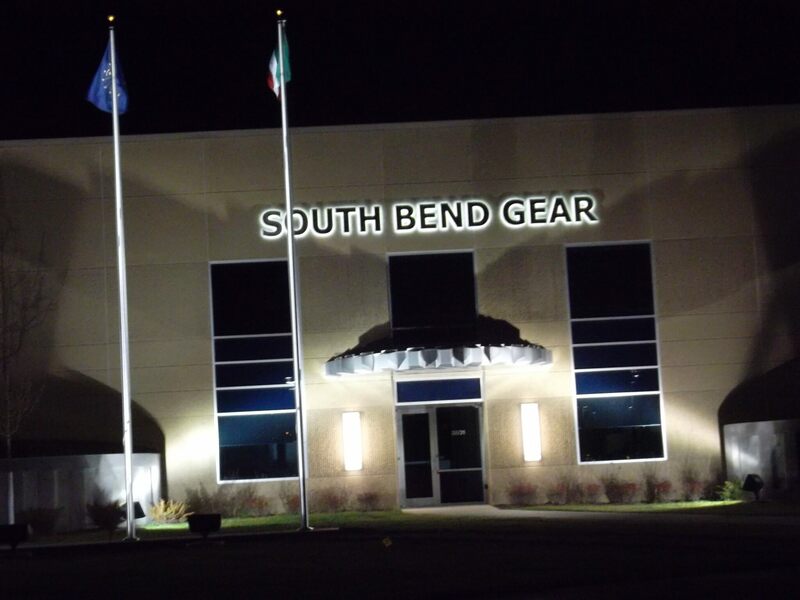 These signs are typically internally illuminated and are built from an extrusion system that allows for a variety of depth. The faces can be Lexan, flex face, routed and backed aluminum or routed push thru acrylic. The flexibility of a cabinet signs allows our fabricators to make them into any shape, including complete radius curves. 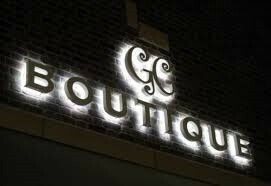 This style is most often found on the exterior storefront but can also serve as interior signage as well. 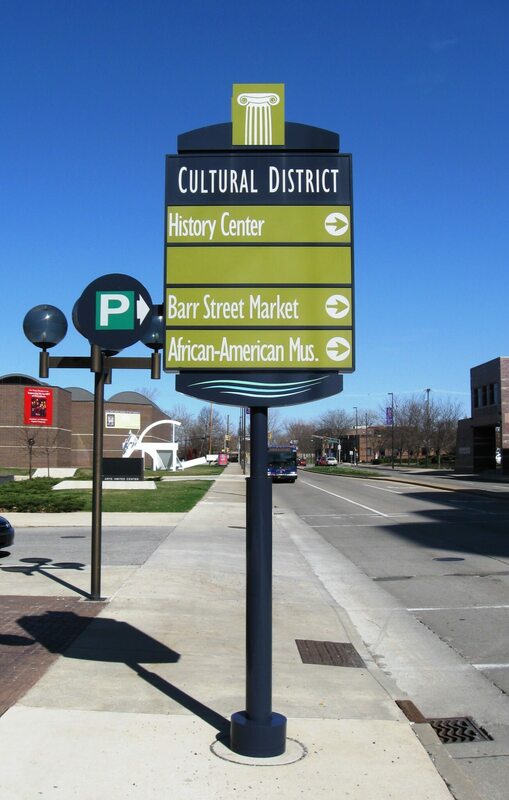 In addition to being wall mounted cabinet signs can also be mounted on poles or on a monument sign base. 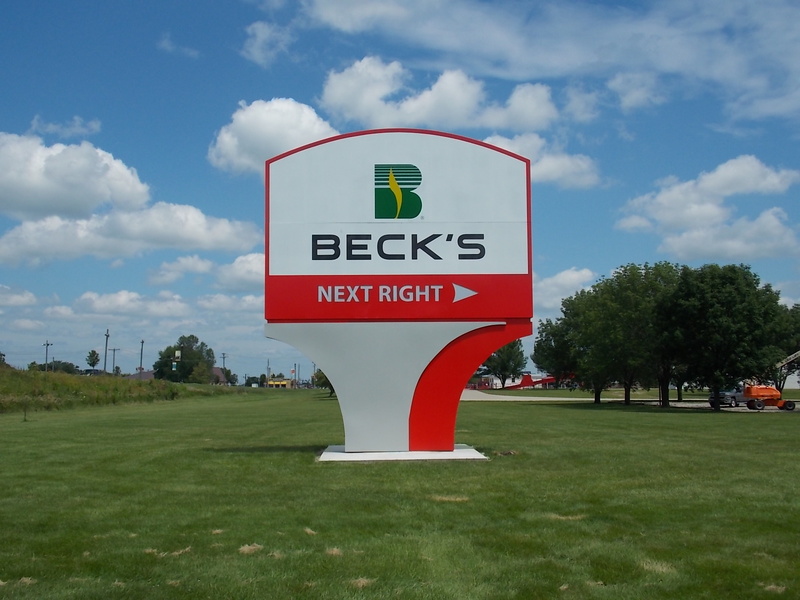 Timeless & Appealing Face lit channel letters are an appealing way to promote your brand on your building or on a monument sign. At night, each individual letter lights up giving the appearance of your name floating on your building. 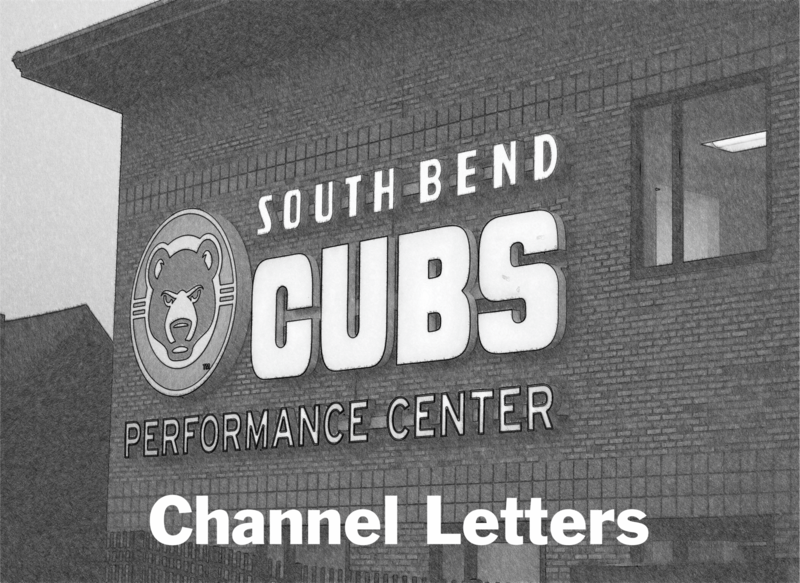 Letters can be flush mounted to the building or on a raceway to allow for easier installation and less penetrations into the wall. 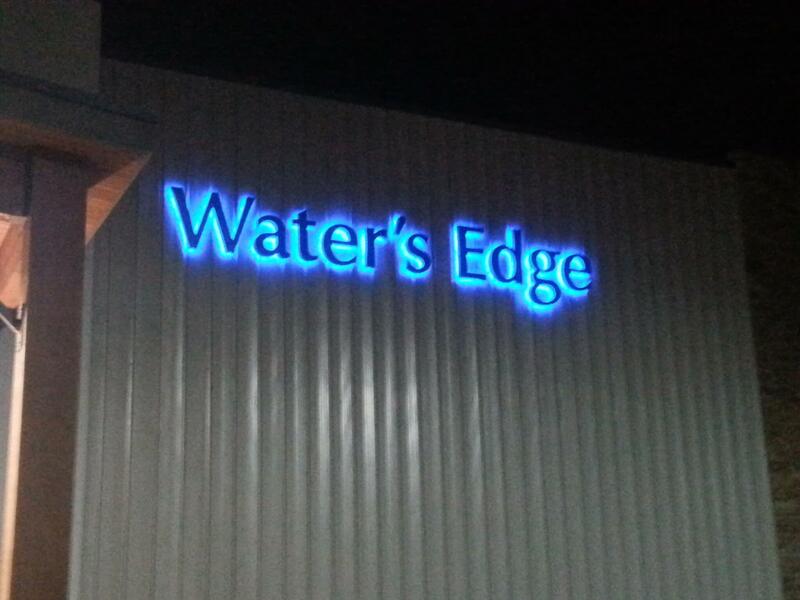 Our letters are all LED illuminated ensuring a long lasting display and peace of mind. 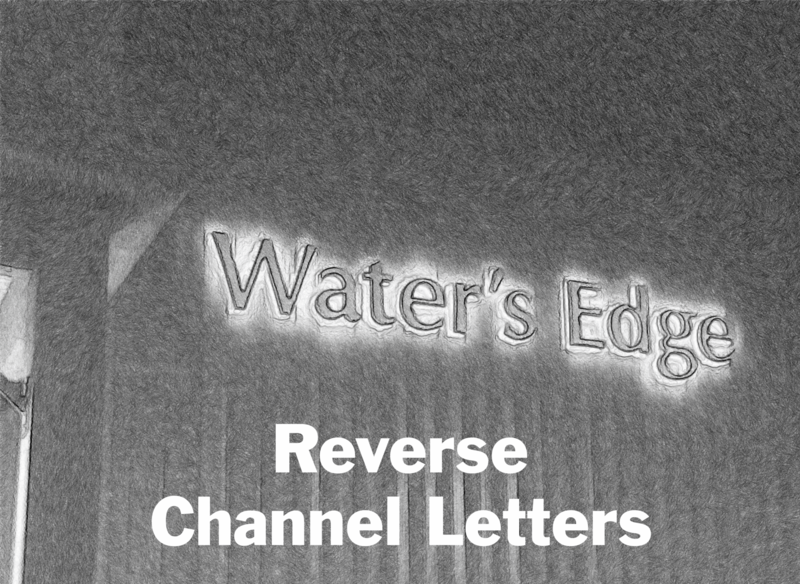 Elegant & Classic Reverse illuminated channel letters do not light up the front of the letters like face lit channel letters do. Instead, the letters are mounted 1-2” stood off the wall and the light is aimed at the back of the letter and it provides a halo light around each letter. The main advantage is aesthetic look. This look is recommended in high end retail, historic or design conscious areas. It is important to note that with this option you cannot light up graphics, fades or specific colors in logos. Most often this look is found in pedestrian level areas. This sign style is best installed on brick/stone or matte finish walls. Walls with a shine or glossy finish can tend to show “Hot Spots” where LED modules are seen individually. 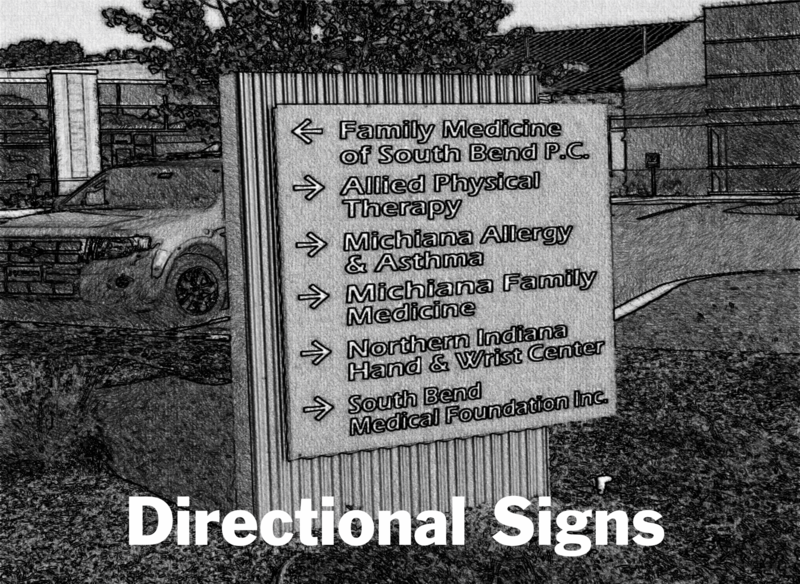 Pointing the Way Directional signs are your vehicles personal compass to get them in and out of your business. 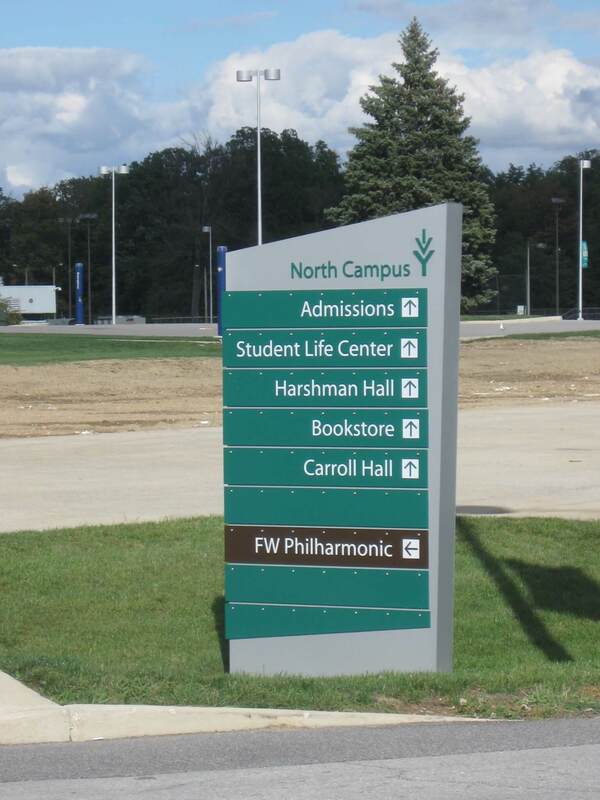 Size and design are important when creating a good directional sign program. 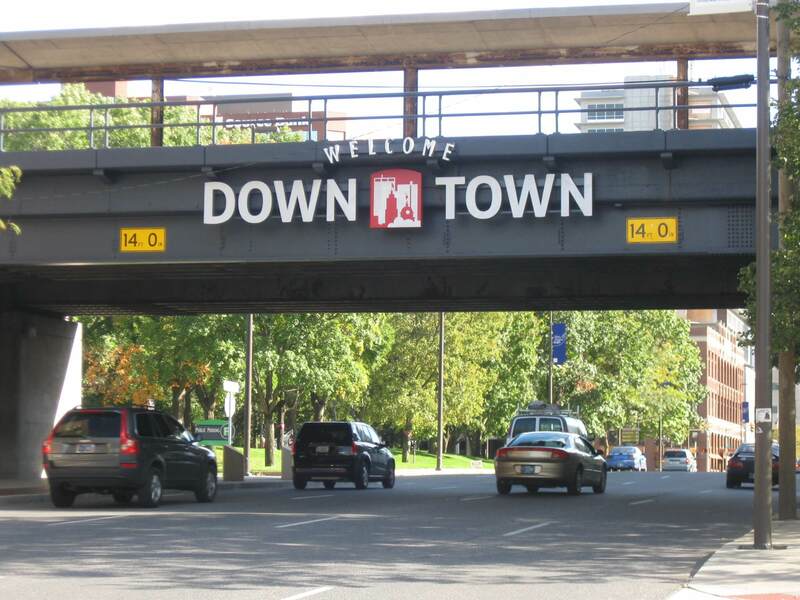 It is recommended that directional signs be illuminated. 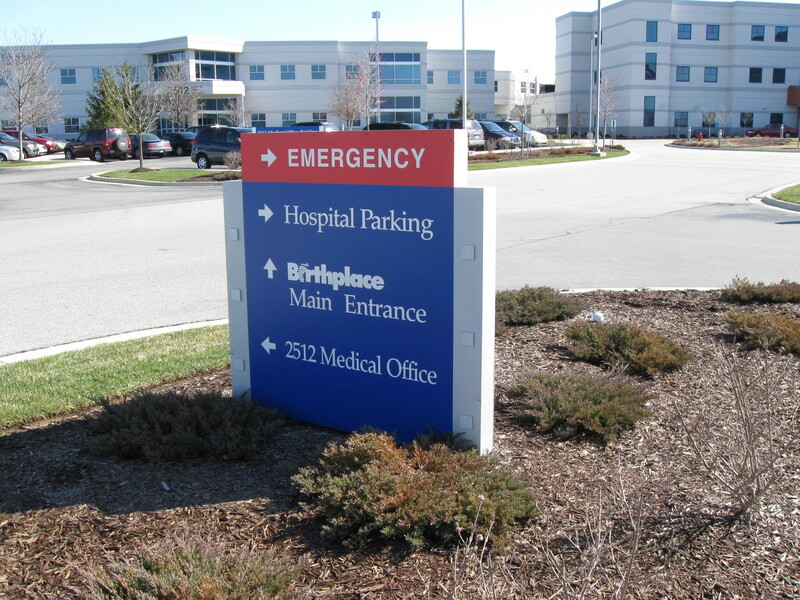 You will often hear the term “Post and Panel” when referring to a directional sign. It is recommended to have a professional sign company come out and review your site and traffic flows to determine the most optimal directional sign program. Getting you from A to B Wayfinding sign move people from different points and also let them know where they currently are. These can be as simple as an interior directory system to as elaborate as an entire downtown City wayfinding program which can designate shopping, restaurant and historic districts. 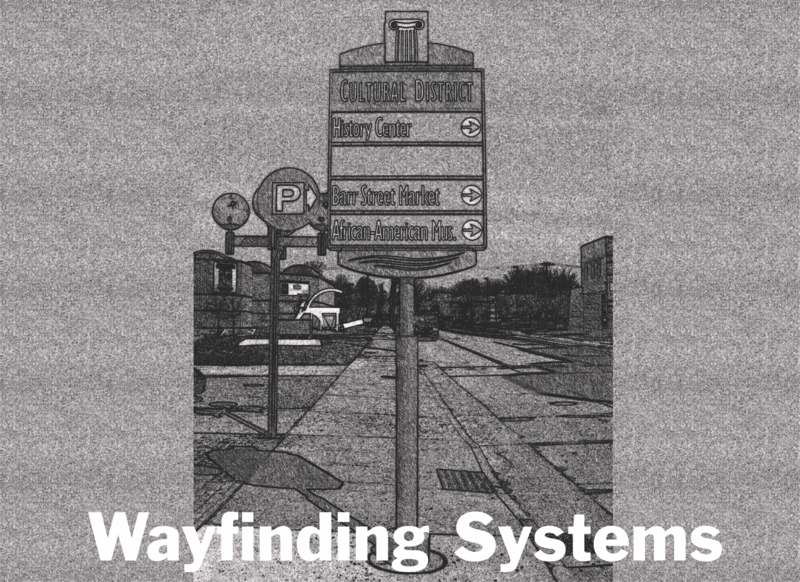 Often times a wayfinding system is necessary if a property has more than one building. 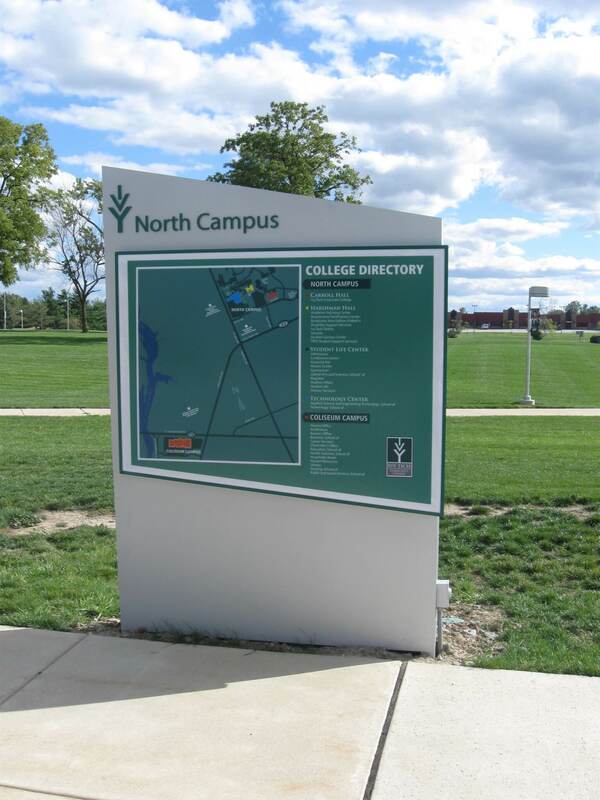 Our team can consult, design, fabricate and install and entire wayfinding system for your City, University or Business Complex. 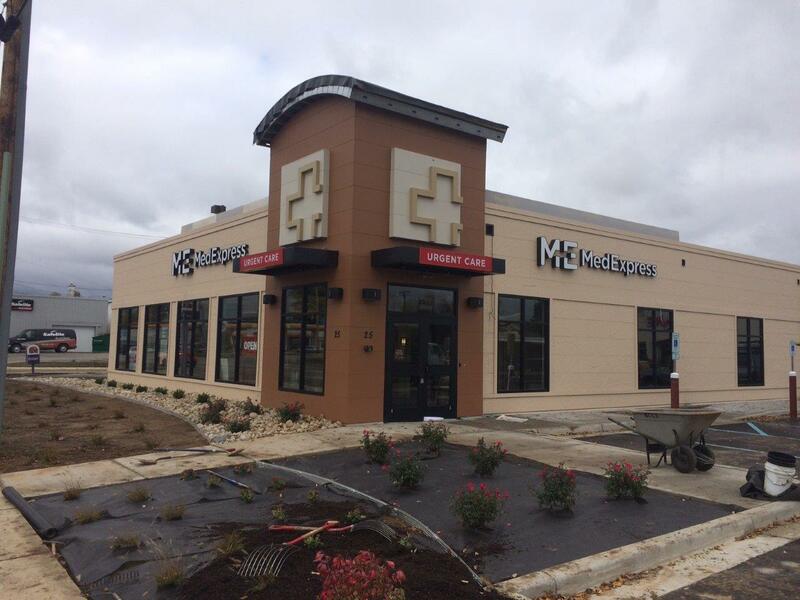 Think outside the box Applying creativity to your sign or building accents is a great way to make a good first impression on your customers. 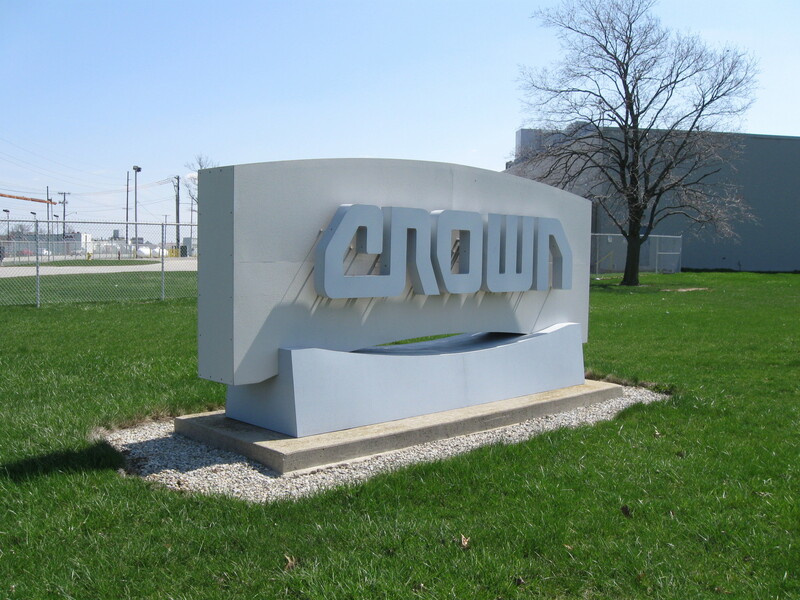 Our custom fabricators can channel their inner Walt Disney and build a variety of unique signs. Let’s say you own a dental practice that serves a large number of children. 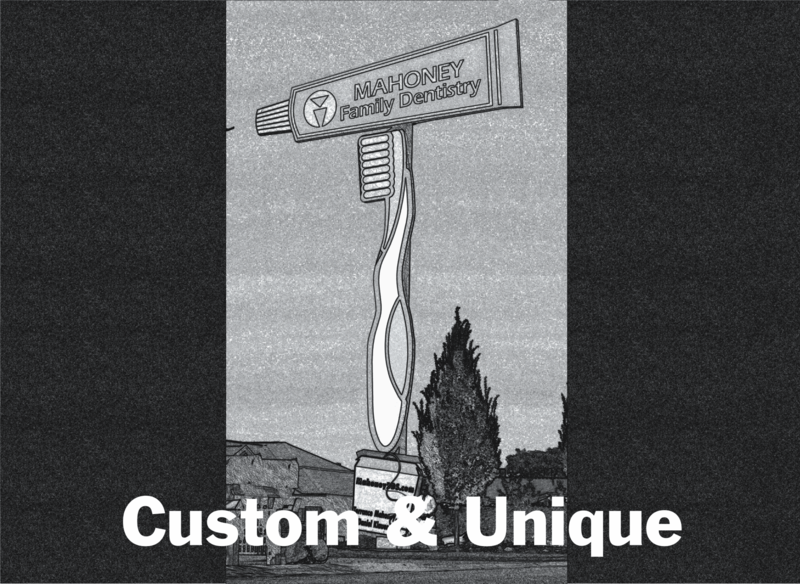 By making your sign look like a toothbrush and toothpaste bottle you can make your “little” patients start their experience at ease with them being greeted by a really neat sign. If you dream it…we can build it. 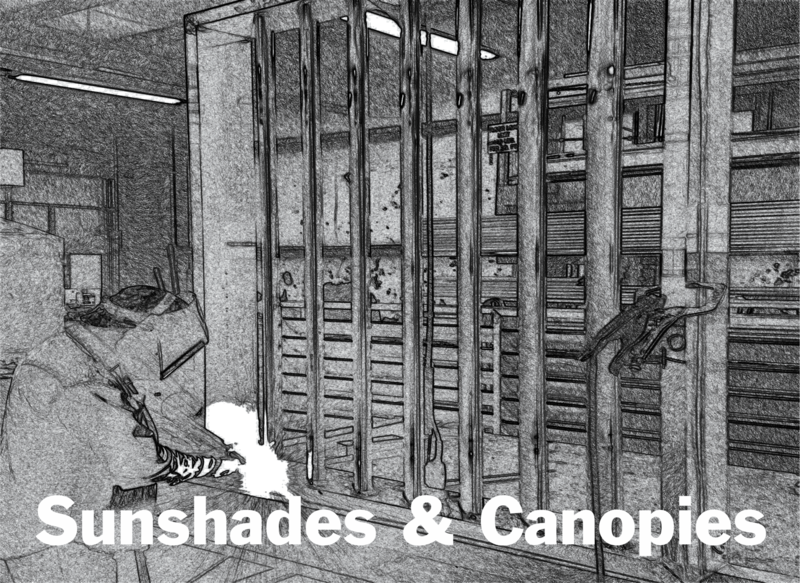 We’ve got you covered Our architectural systems division designs, fabricates and installs a variety of sunshades and canopy systems. 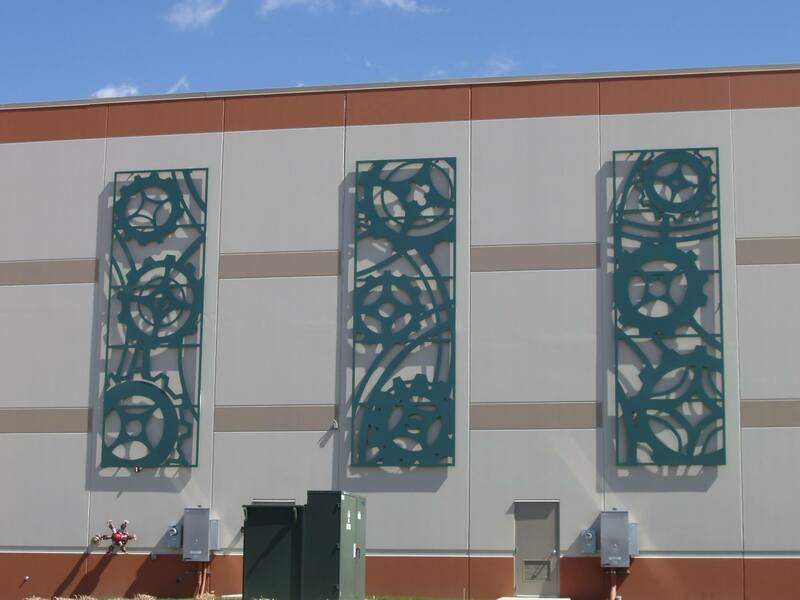 These sunshades cool your building in the summer and help heat your building in the winter. They do this by both blocking light and allowing light in. 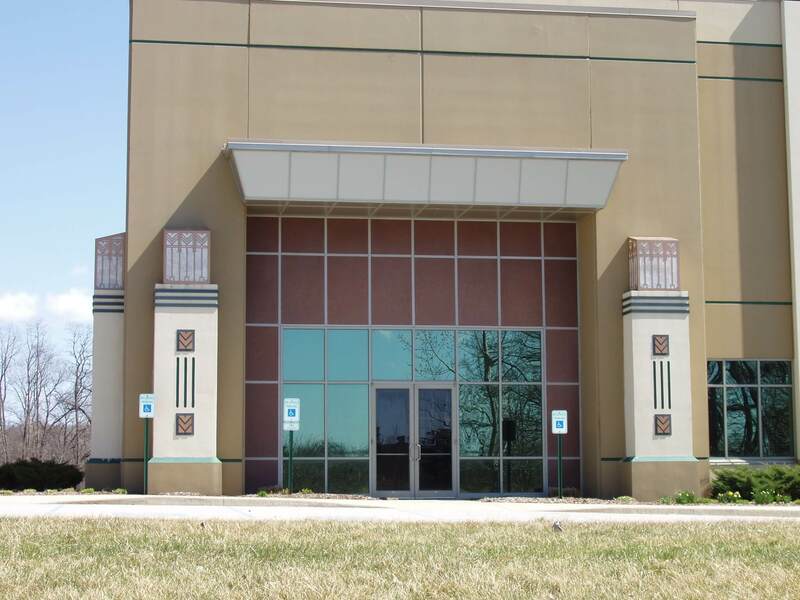 They also serve as a nice architectural feature for your building and can be integrated into your sign program to have signage mounted on them. 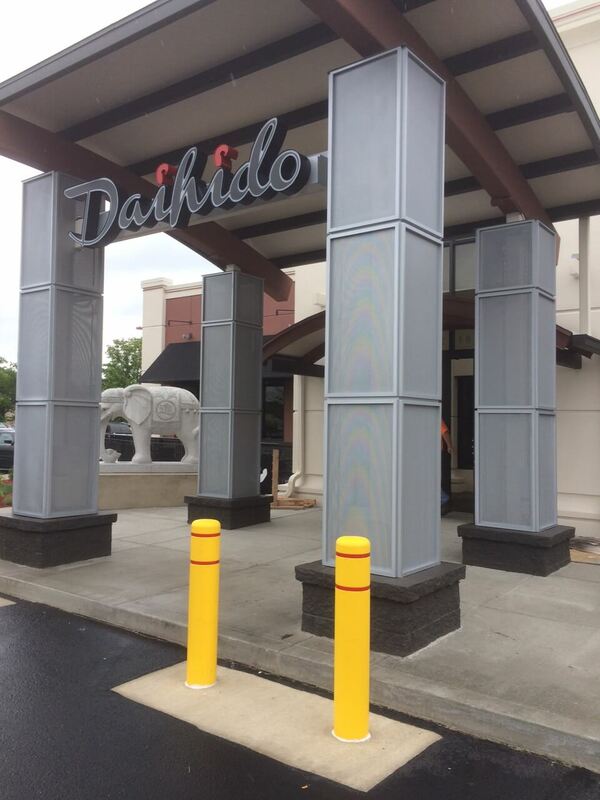 Our canopies provide a covered system for your entryways. 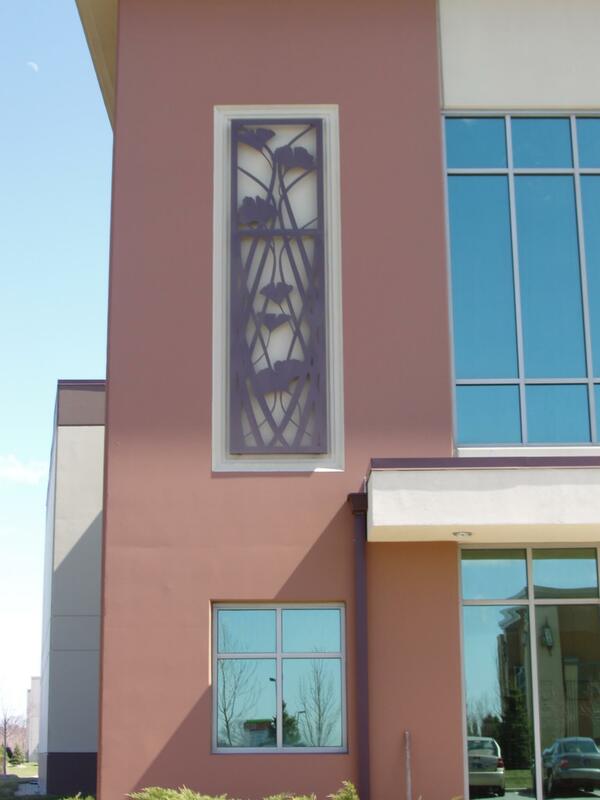 They can also be a aesthetic focal point of your building. 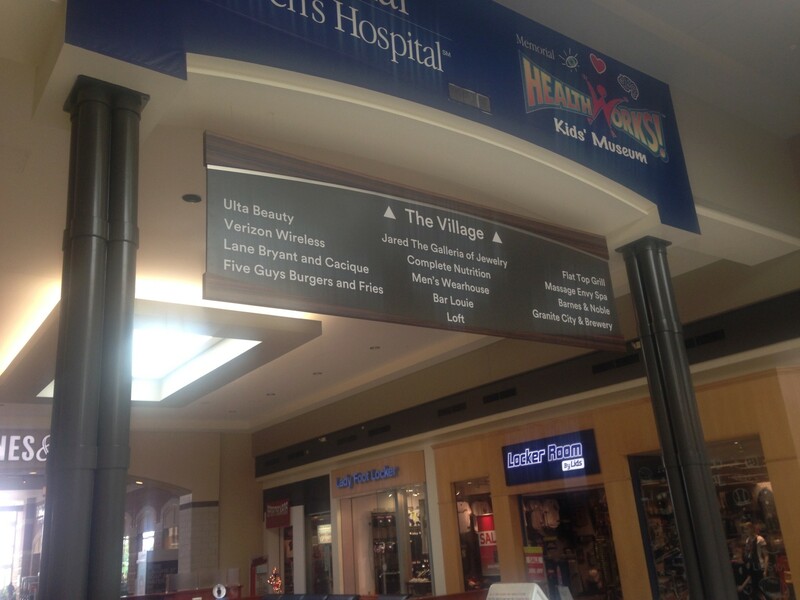 Providing a path A good interior sign system helps your customers, employees and vendors get where they want to go. 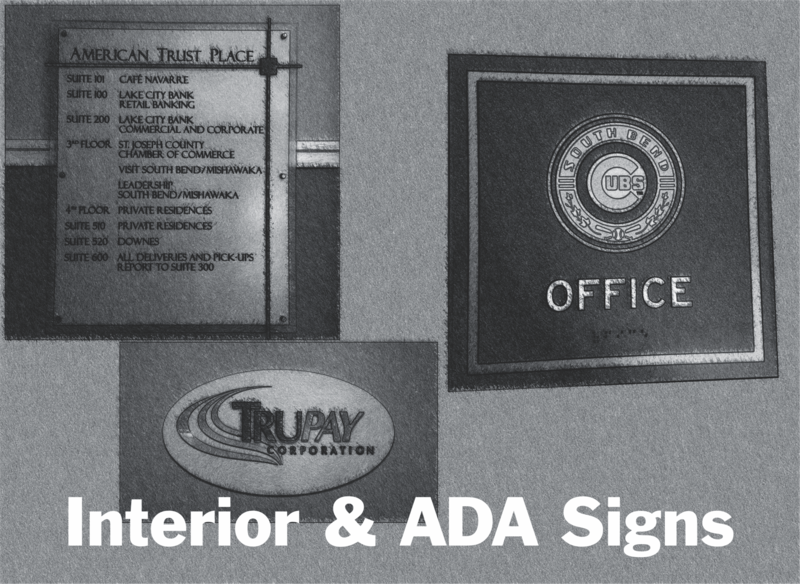 Our team is up to date on the latest ADA (American Disabilities Act) requirements and we can help you plan your interior sign program. 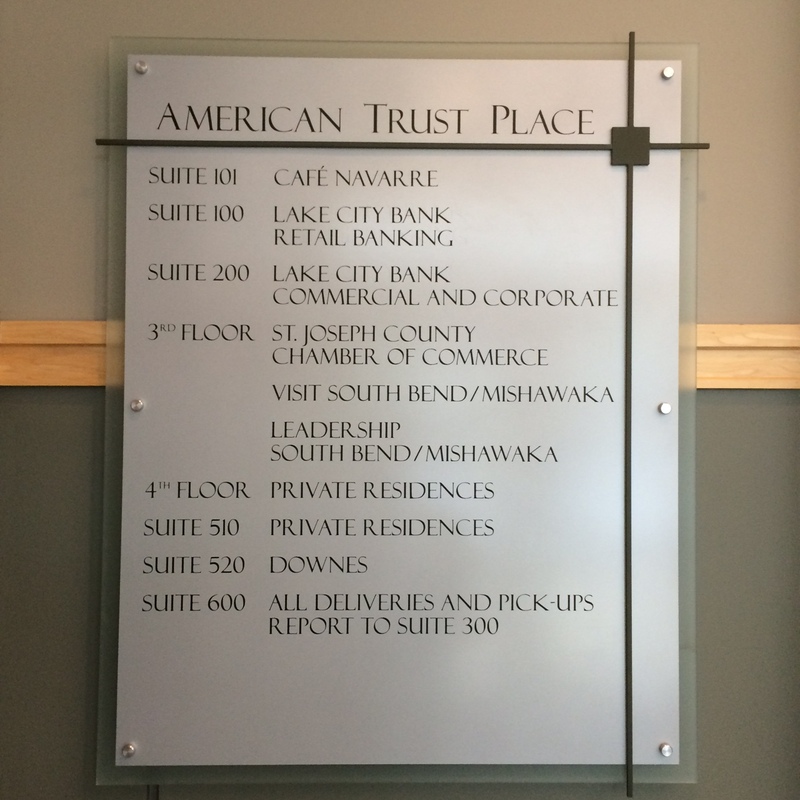 Let our experienced team guide you on your interior sign program. Per the Small Business Association (SBA) the average business/organization should plan 7% of the business budget for their sign program when creating a business plan. 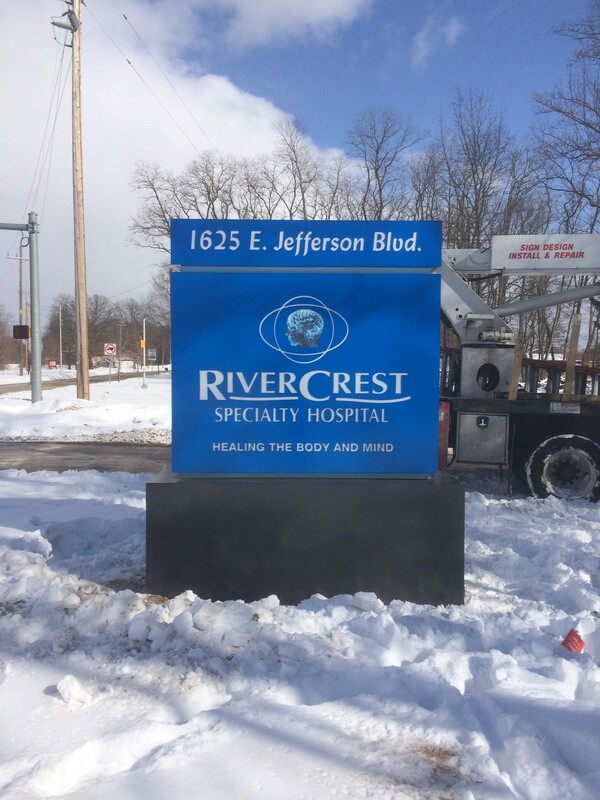 Signs are one-off custom fabricated so they take longer to make than you think so keep that in mind if you have set open dates to provide your sign vendor at least a 4-6 weeks lead time. Signs are restricted by each local municipal code. 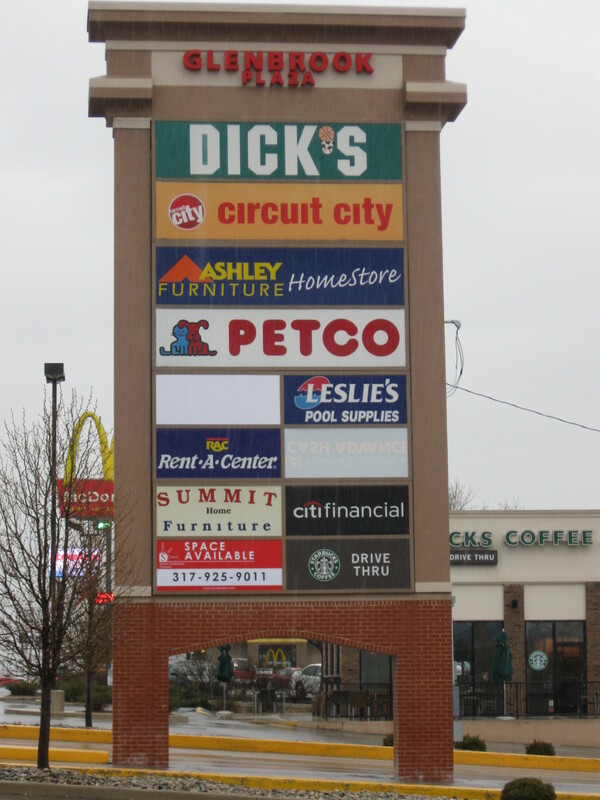 Have your sign professional perform a code check to see what size sign you are allowed. Just because your neighbor has a large sign does not mean you will be allowed one as codes are consistently changing. with your sign when you speak with a sign professional. That helps create a good design that makes your brand better. 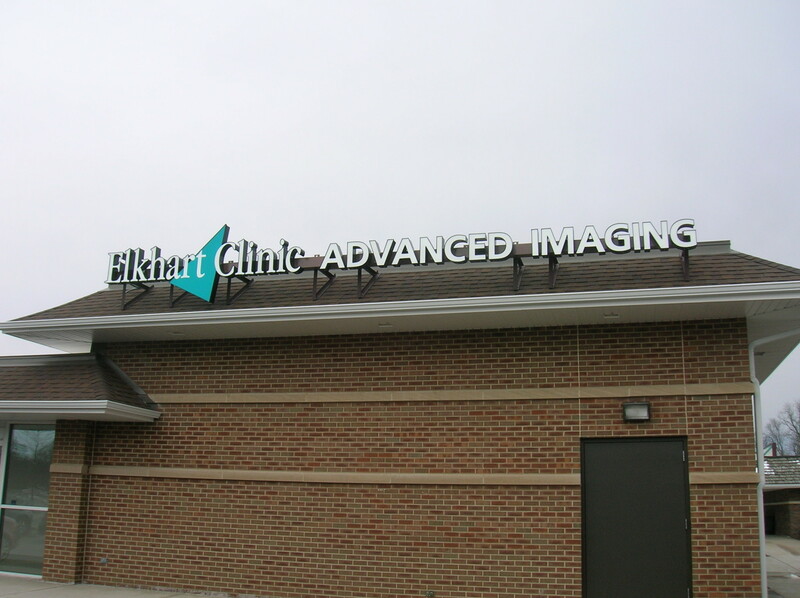 The shape and architectural features you add to you sign can be as powerful as your logo itself. Don’t be afraid to tie into your building’s architectural features or channel your inner Walt Disney to get creative…or let our team of creatives do that for you! If you have a logo we will need it in a vectored format (.ai or .eps). No logo? No problem we can work with you to create your brand from scratch. 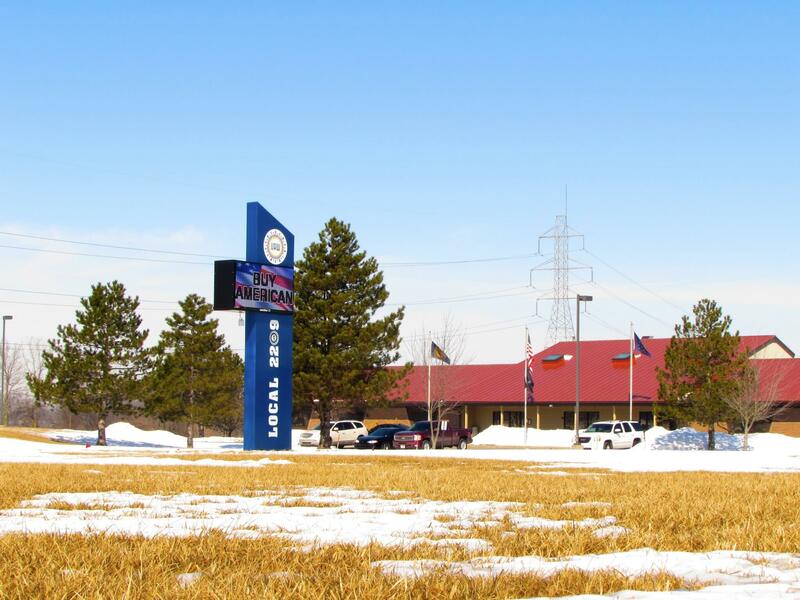 We work in all four seasons….don’t be afraid to buy a sign in the winter. 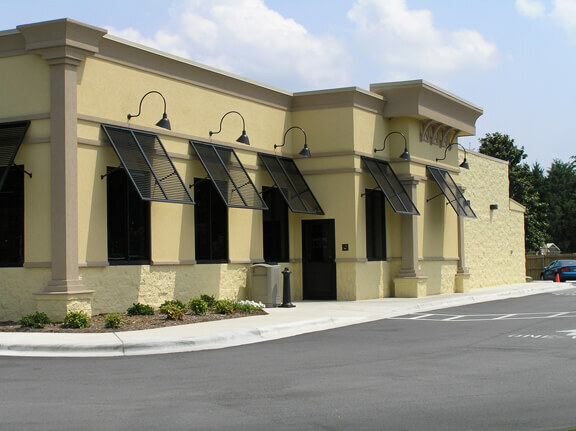 A professional sign company will always visit your site and perform a site analysis. 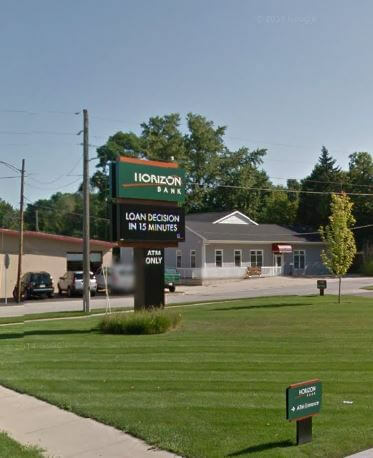 You will need a larger sign than what you think, rely on a quality sign professional to use their traffic analysis to tell you what size sign you need to be legible from the roadway. Design time can range from 1-3 days depending on project scope. 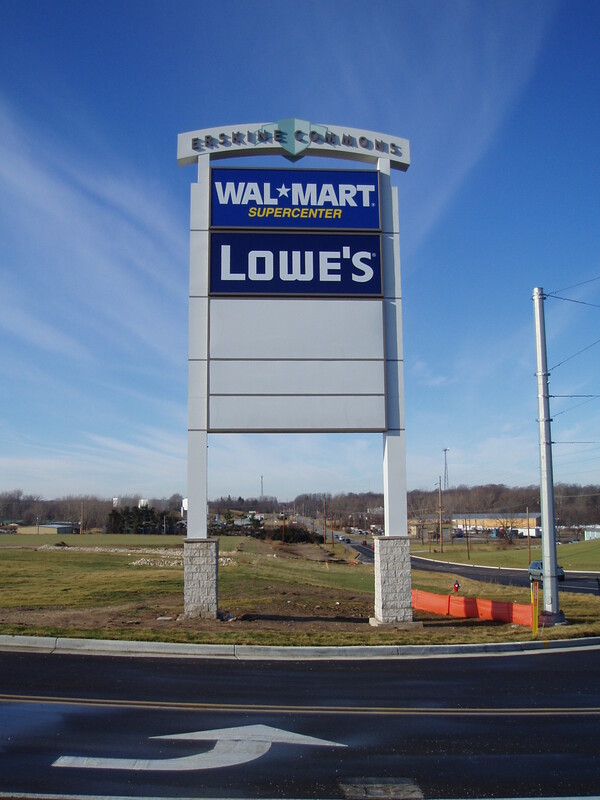 A low cost, poorly made sign will cost a lot more in service, maintenance and lifespan versus buying a quality product. Always visit the sign company’s shop to verify they build in house and build quality. If you need a variance for a larger than code allowed sign we can represent your business/organization. Most Important-Have fun! Your signs are the icing on the cake and the process should be fun and exciting. Color combinations, improper size can dramatically hurt your businesses yearly revenue. Have our expert account executives help make your business better. Sign up via the EMC Demo link below to schedule your free onsite demo and learn more how we can make your business better! 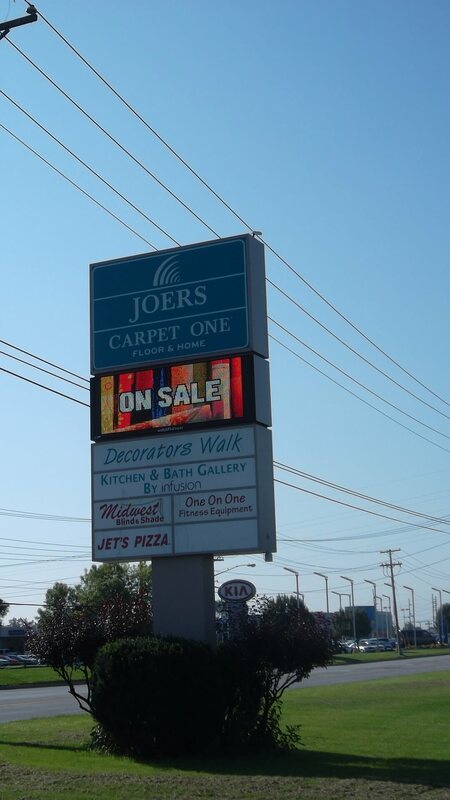 From community, commercial, retail, stadiums and theaters there is no better way to communicate your message than adding an electronic message center sign. No other form of advertising offers the same flexibility to connect with your audience as quickly and effectively. Your customers and neighbors look forward to seeing each day’s messages. With an EMC you can broadcast your message, products, services, advertise events and enhance your brand awareness to thousand of people who pass by your locations every day. How will an EMC impact my business? Adding an EMC to your business or organization will make a difference. The SBA (Small Business of America) did a study that found that the average increase in revenue after adding the proper size full color EMC was 15% minimum all the way into the thousands percent increase depending on the application. 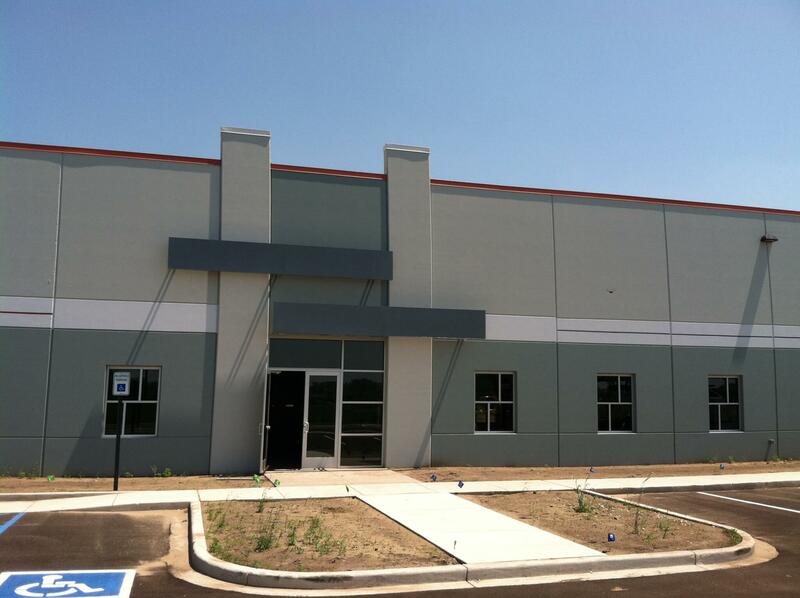 Check out the industry specific case studies below to see what adding an EMC did for their locations. How can I double the lifespan of my sign? A sign is a big investment. It is also your most cost effective marketing tool and a symbol of your business or organization. You need to protect that investment. Burkhart Sign Shield Preventative Maintenance Program can double your signs lifespan. How? Our low cost sign cleaning program removes debris/dirt on your sign and removes damaging chemicals like salt which can damage your paint finish and deteriorate metal over time. During our PM we will wash and clean your sign, open the sign up to perform an electrical inspection and spay the sign with our proprietary Nanowax to keep your sign looking as good as the day it was installed. We recommend a Preventative Maintenance Program be done a minimum of once a year in the spring. 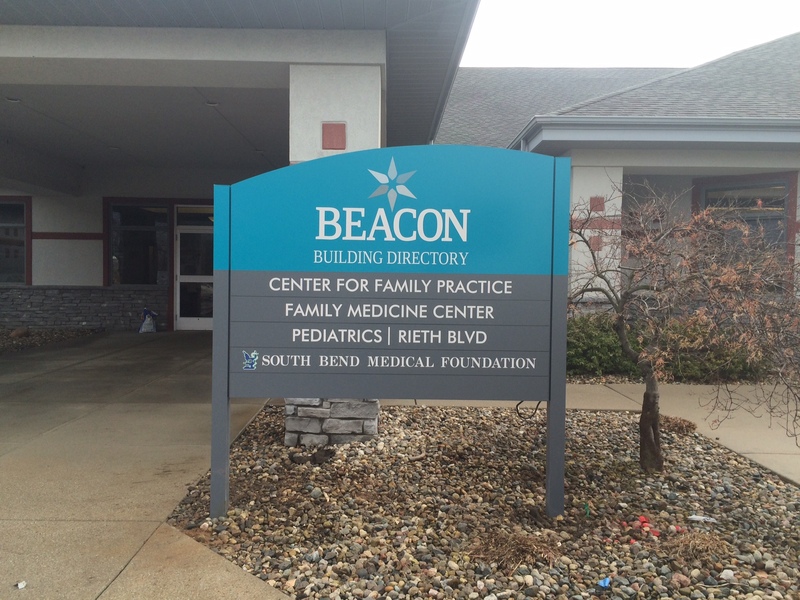 To ensure your signs maintains its new look a bi annual program is recommended. 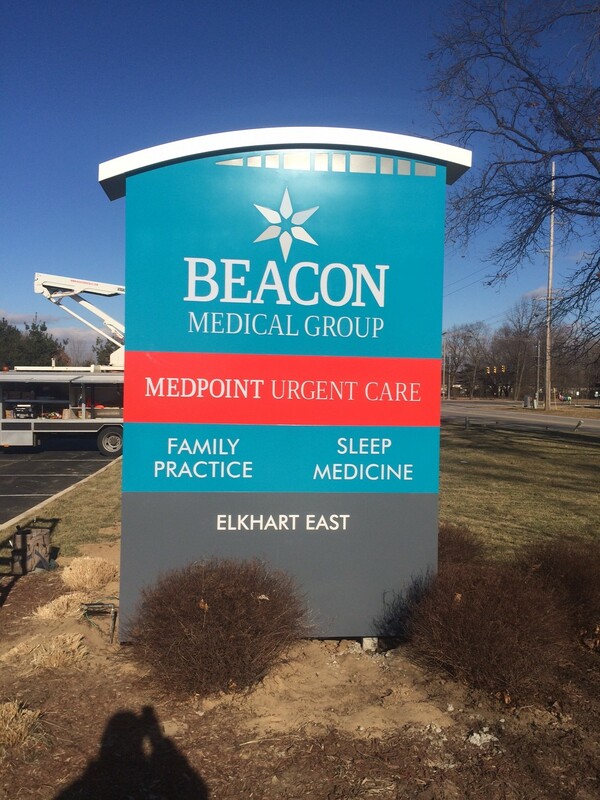 These low cost cleaning programs keep your sign looking great and prevent maintenance issues from keeping your sign working for you all year round. It’s your brand…it’s your investment….protect it! A type of translucent thermoplastic. Very rigid, and long lasting, but not highly break resistant. The means by which an advertising message is carried to potential customers; including Internet, magazine, newspaper, radio, signs and television. A term dealing with form, design, and/or quality of construction of a particular sign, building, site or structure, that presents a judgmental statement concerning the level of beauty or artistic value. A sign depicting action, motion, light or color changes through electrical or mechanical means. Although technologically similar to flashing signs, the animated sign emphasizes graphics and artistic display. Measurement representing the total number of vehicles passing a given location each day. These counts can usually be obtained from your State Highway Department. A building mounted sign that provides additional functionality as shelter. To paint on the inside of a piece of clear plastic. A sign located on the seat or back of a bench or seat placed on or adjacent to a public right-of-way. A type of street furniture. The intangible, but real, value of words, graphics or symbols that are associated with the products or services offered by a business. Developing branding of a site includes the presentation of signs and architecture to create a unique awareness and memory by the potential customer of the products or services offered at that site. Brand equity for a particular business is similar to the goodwill of an enterprise. State and/or local regulations governing public health, welfare and safety of construction and maintenance. That portion of any elevation of a building extending vertically from the grade to the top parapet wall or eaves, and horizontally across the entire width of the building elevation, including slanted wall surfaces sometimes referred to as a mansard. A building-mounted sign functioning as a marquee. Also a sign mounted on a marquee or canopy. 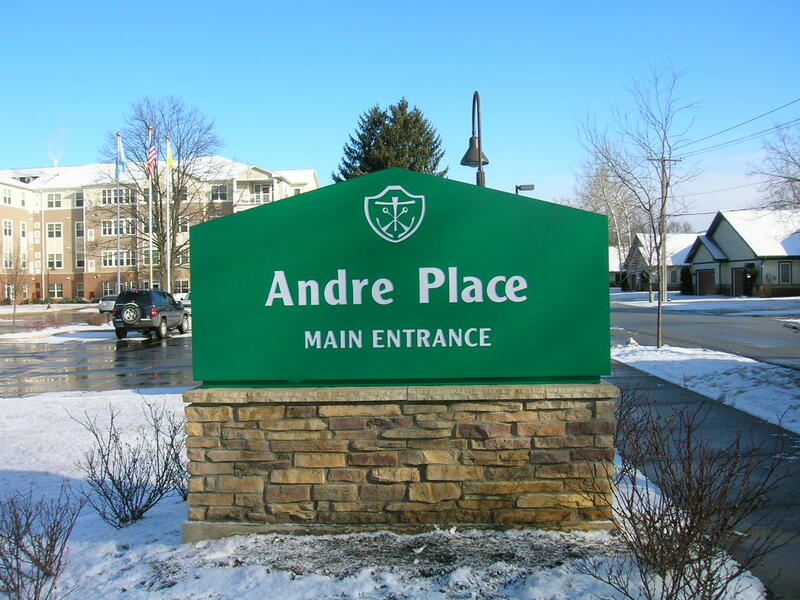 A variable message sign composed of individual letters panel-mounted in or on a track system. 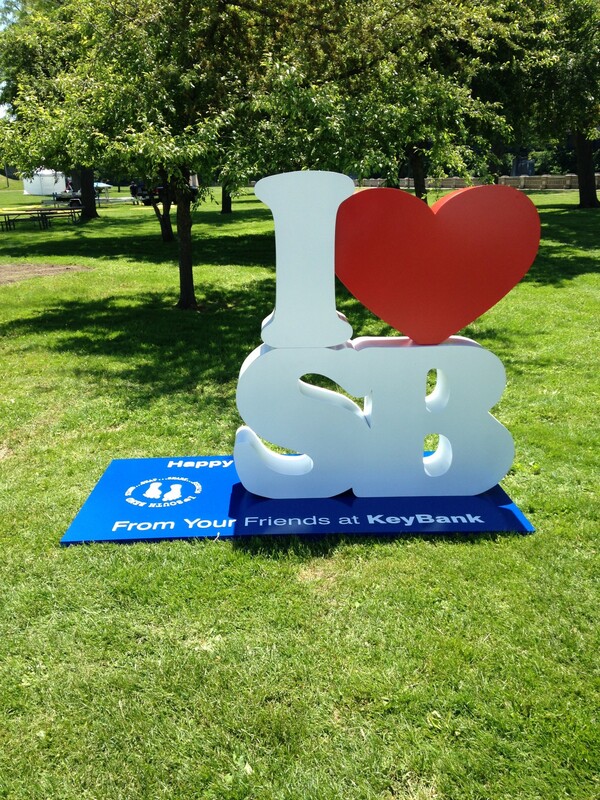 Fabricated or formed three-dimensional box sign, matching a channel letter in size, that may accommodate a light source. Digital graphics or vinyl lettering decorate the face. Clear glass tubing, coated on the interior surface with phosphorus powder. Coated tubing produces a variety of different light colors, dependent upon the specific mixture of phosphorus powders utilized. Transparent glass tubing manufactured with color pigments, typically color examples include ruby red, canary yellow, green, and midnight blue. The characteristics of the sign that enable an observer to differentiate the sign from its surrounding environment. A background that raises and lowers on regular intervals. Normally used with changeable copy track, the lowered area allows rain to wash dirt away from the tracks. An approach to estimating the value of real property whereby the appraiser determines the production cost of the property, minus any accrued depreciation. This approach does not merely include the hard costs of construction, but includes all soft costs such as interest, permits, and fees. In sign appraisal this concept includes the cost of replacing the message delivered to viewers. Basic value calculation used to measure the cost versus return from the presence of signs; the cost of acquiring a customer. The average number of daily potential exposures to a display or group of signs determined by counting only those vehicles traveling toward the face of the sign, and then multiplying that number by the average number of people per car during the hours the sign is visible. Pedestrian and mass transit circulations are not included. This is the basic measure in establishing cost per thousand exposures on signs. The basic traffic numbers can usually be obtained from your State Department of Transportation. Similar in detail and use as a raceway except larger in cross section to provide a background area. A specification description of a letter, logo or symbol, either cut out, cast, molded or fabricated in material such as metal or plastic to create a raised condition. A pole that is buried in concrete below grade and extends up to the bottom of a sign. A pole setting on anchor bolts would not be direct buried. A sign with two parallel opposing (back-to-back) faces. One layer, such as a plaque is embossed on top of the mold, then a second layer, such as letters, are embossed on top of the first layer. Some colors can not be painted over other colors, If you spayed yellow letters over a blue background you would get a green background. So the face is masked twice. The first color is sprayed and then masked again before the second color is spayed. 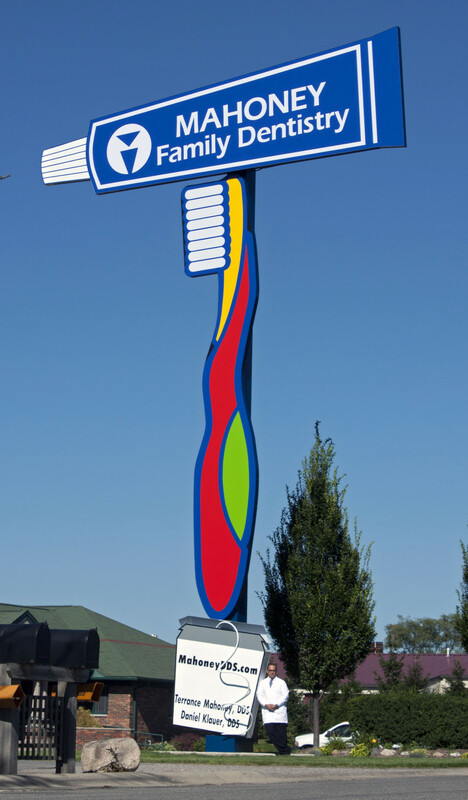 The Electric Sign Authority (ESA) supervises the design, marketing appeal, appearance, and longevity of signs. Click our “Message Center” tab under “Sign Types” for Electronic Message Center glossary terms. To raise above. Embossed letters are raised above the background. A process in which material is heated to a molten form and pushed thru a die to make a shape. One of three appraisal approaches. The highest price at which a property could be sold given a reasonable exposure period in the market. The price is arrived at by a willing seller and willing buyer, neither being under duress to act. The outer flat area of a pan face that slides into the retainer. A dimensional letter cut from sheet or plate stock. A set of letters, numerals, and shapes, which conform to a specific set of design criteria. The average number of times an individual has the opportunity to see an advertising message during a defined period of time. Typically measured over a four-week period. 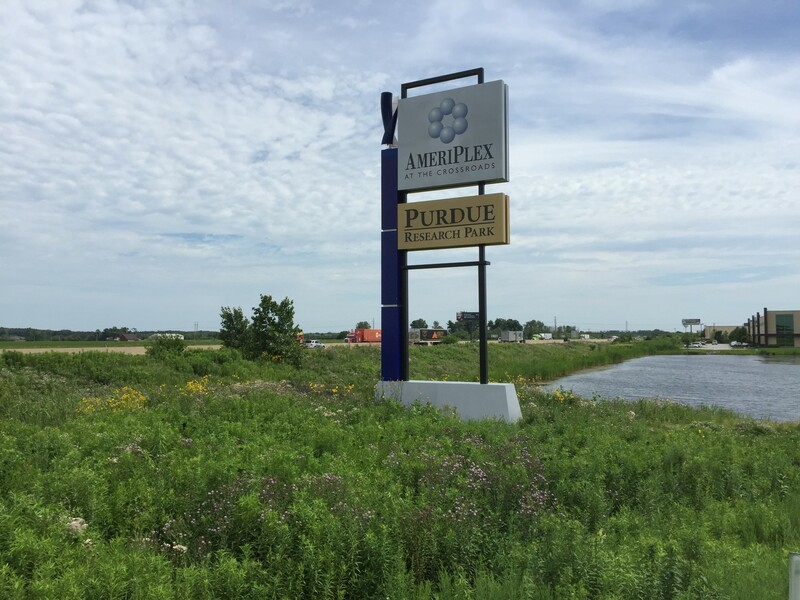 Sign companies that complete the entire signs project, including surveying, designing, engineering, permitting, manufacturing, installing, and maintaining signs. A Reinforcing plate used in a sign. A plate welded to a pole may have gussets welded to both to insure that the plate can’t break away from the pole. A dimensional letter with baffles at the center of the cross-sectional shape for support of neon tubing and mounting of transformers. A piece of plastic or metal attached to the flange of a sign face in order to keep it from coming out of the retainer. Normally used on the top center. Most extruded aluminum cabinets are designed to allow a hanger bar on the face. An unplanned or shifted purchase. The full monetary value to be paid for property taken by the government in accordance with the Fifth Amendment of the U.S. Constitution. Just compensation is generally determined by obtaining an appraisal. The characteristics of letters, numbers, graphics, or symbols that make it possible to differentiate one from the other. See Conspicuity. General Electrics brand name for their Polycarbonate plastic. UV protected. 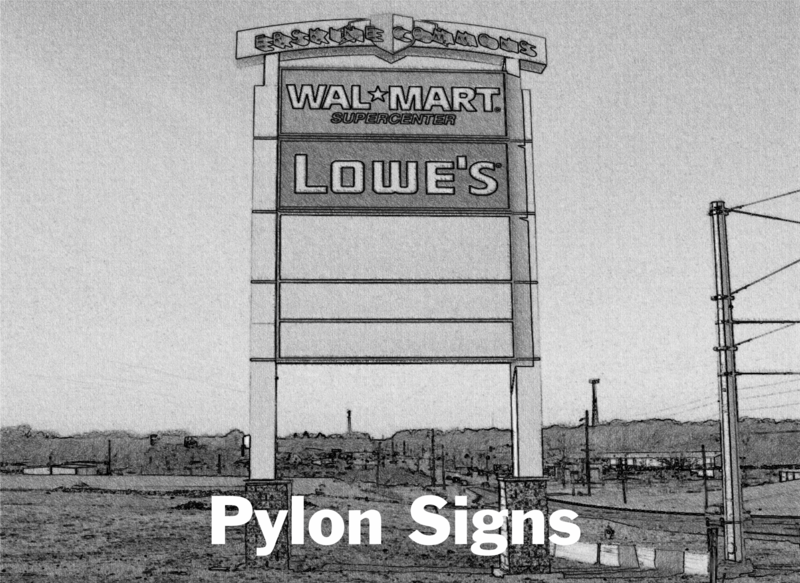 A sign labeled to indicate that the manufacturer of the sign is identified in a list published by a National Recognized Testing Laboratory as producing signs in conformance with the applicable American National Standard. A design that represents goods, identity or service. A measurement of the amount of light transmitted to a one-square-meter of surface. Any sign that is not appurtenant to the use of the property, a product sold, or the sale or lease of the property on which it is displayed, and that does not identify the place of business as purveyor of the merchandise, services, etc., advertised upon the sign. Also known as Outdoor Advertising. A communication device whose message and design relates to a business, an event, goods, profession or service being conducted, sold or offered on the same property as there the sign is erected. To not allow any light to transmit thru. The opposite of translucent. A dimensional letter that has no face and, if illuminated with the light source visible. A clear face for physical protection of internal components may be used. A switch that turns on when dark and off in daylight. A sign not permanently attached to the ground or building, with a power-cord for connection to an electrical source, and readily removable using ordinary hand tools. A letter or logo cut out of a backing material that is as thick or thicker than the sign face material, and mounted on the inside of the sign face so that the backing material’s thickness extends flush with or through and beyond the front plane of the sign face. An electrical enclosure that may also serve as a mounting structure for the sign. The quality that enables the observer to correctly perceive the message. In transportation engineering, this word is being replaced by conspicuity. In signs, this refers to the ability of a viewer to remember the message even when they are not viewing it. 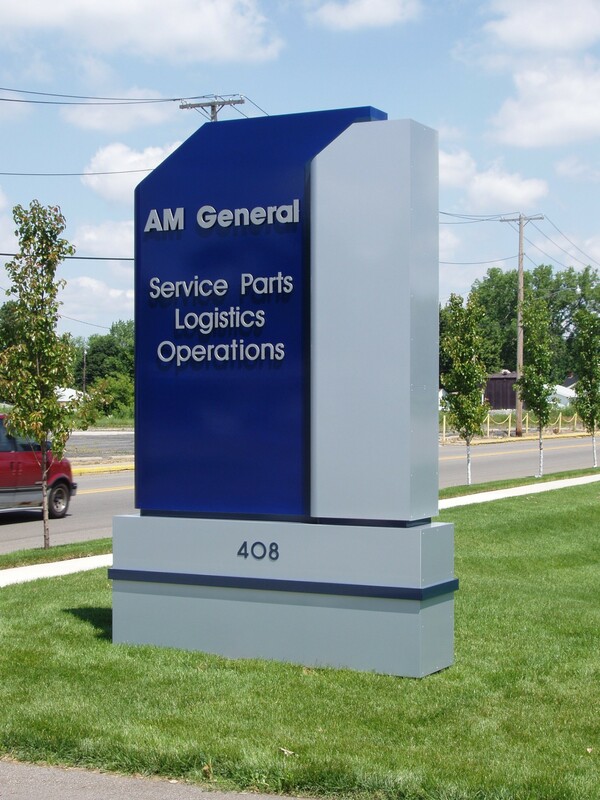 A fabricated dimensional letter with opaque face and side walls. The shear strength for steel poles and I-Beams can be measured in section modulus. Wind loads for signs can be mathematically calculated to show the section modulus needed. 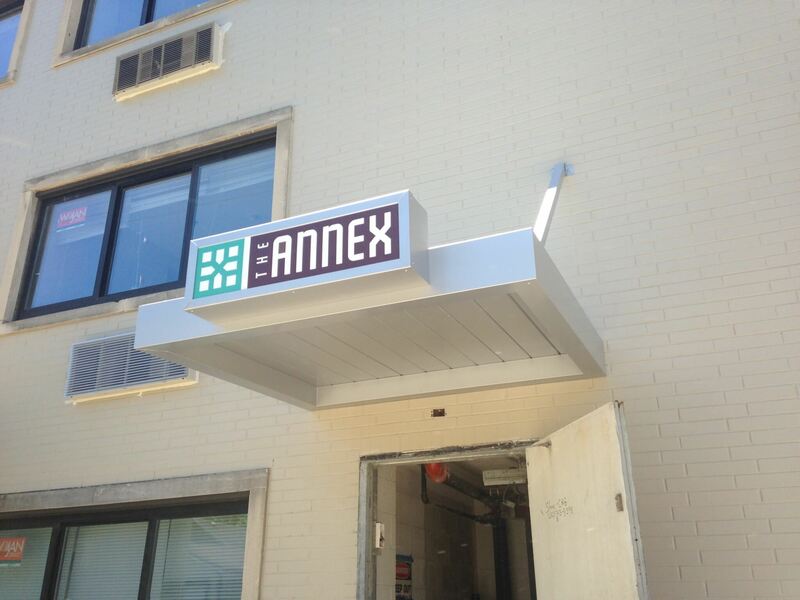 A horizontal area above a multi-tenants’ building’s entrances, architecturally designed to accommodate signs. 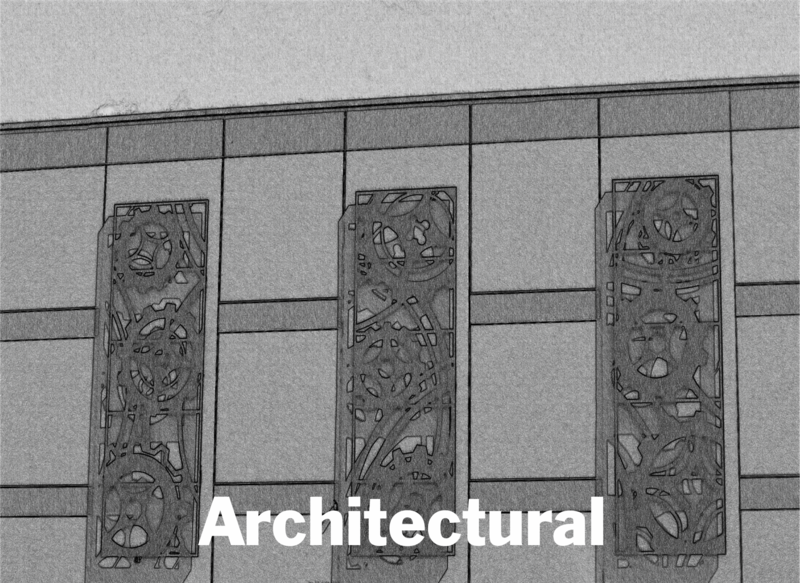 Architectural design of a building or structure that reinforces signs. Building architectural design which makes the signs the prominent visual feature. Advertising displays, many which provide a public amenity, positioned at close proximity to pedestrians for eye-level viewing or at a curbside to reach vehicular traffic. An example is a bench sign. Used by a business to distinguish itself and its products from the competition. A trademark may include a name, symbol, word or combination of those. Protected by the federal government and considered to have financial value. The circled “R” or “Reg. T.M.” printed with the mark indicates that it is a registered trademark. The recording of the vehicles and pedestrians passing a given point, usually in a day. 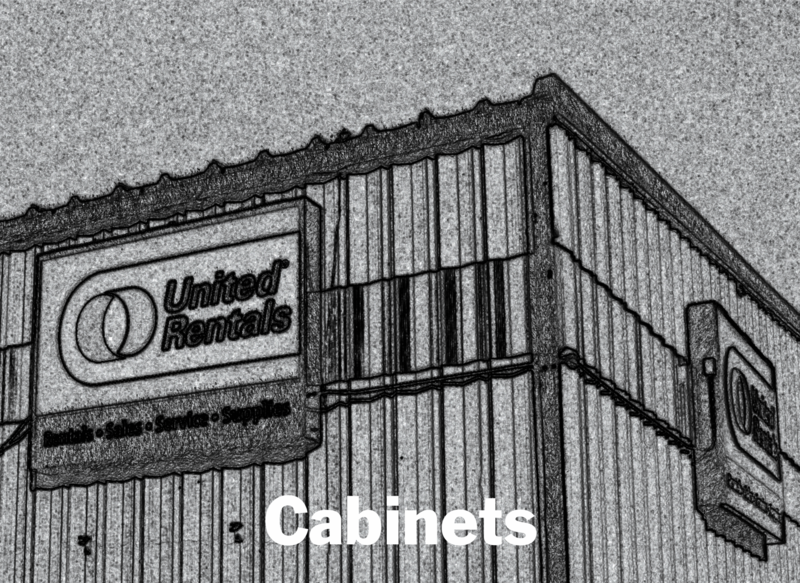 Underwriters Laboratories approximately 100 page book of sign standards that U.L. listed signs must meet. A material added to GE Lexan (above), and applied in Solargard and Optigard to reduce the effects of Ultraviolet rays from the sun. A sign that includes provisions for message changes. Also called changeable copy panel, changeable copy sign, time and temperature sign, electronic message center, menu board. Enabling a person to find his or her way to a given destination thru the use of effective signs. A term for describing the design strength of a sign. Standard wind load is 30 PSF (pounds pr square foot) in Northeast Texas, which can withstand winds up to 100 MPH. Florida signs are designed for 140 MPH winds.